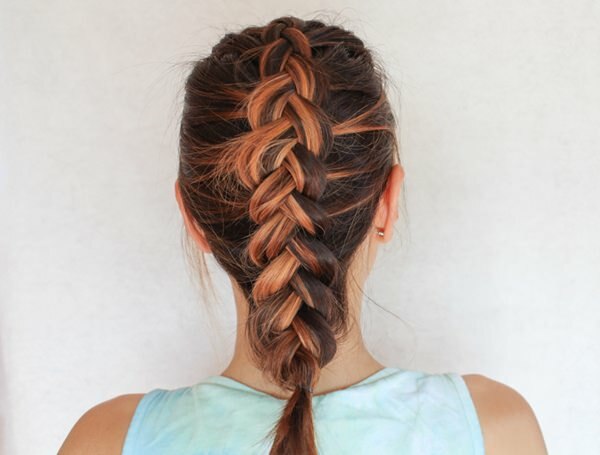 Oh, the Dutch braid. Heavenly, god-like yet fierce like the Vikings. 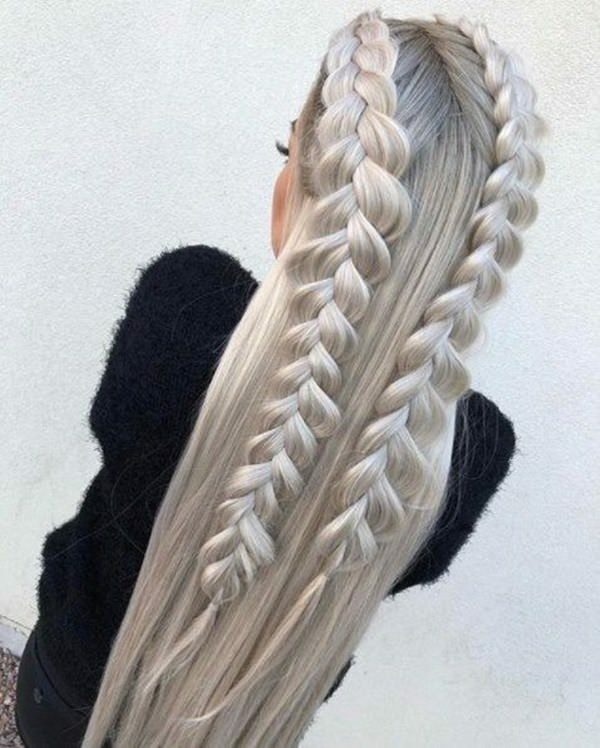 There is so much to be said about the Dutch braid but still so less is known about this magnificent style that is taking Instagram by the storm today. For a starter, the Dutch braid has got nothing to do with the Dutch people at all, not even close. 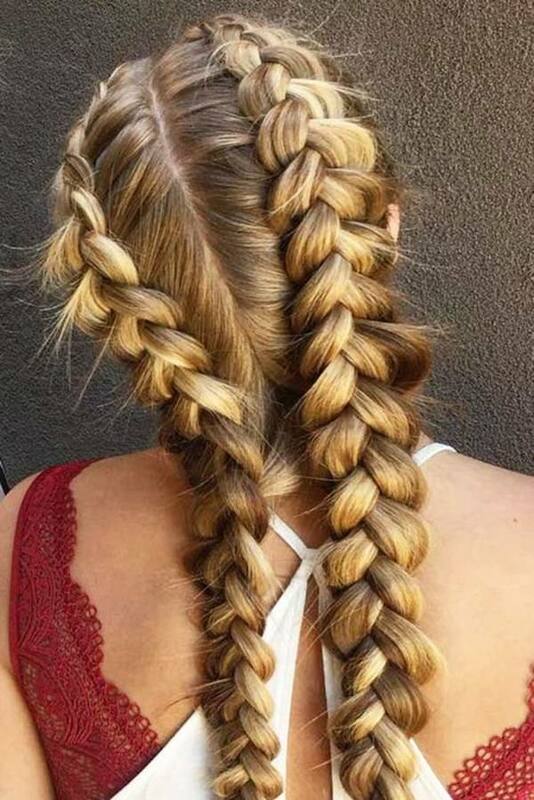 A variation of the French braid, Dutch braids are actually called the “Inverted French Braid” or “Pineapple Braids” and are created by crossing the sections under, rather than over the hair. Thus, creating the 3-D effect that the hair is really sitting on top of the head. Braids might have started out some 5000 years back but are still the latest of the trend right now. And today, be it a part of the several braids that the “Mother of Dragons” donned in the Game of Thrones or one by Kim Kardashian, Dutch braids are definitely a must to try this day and time. So, with that point said, here are 101 of the top Dutch braids that you can choose from in 2019. This effortless yet glamorous look is all you need to look prim and perfect for the night out or the party, whichever it is that you choose. Keep the hair loose and leave the ends low-down to look even extra with minimalistic efforts. Or if you are looking for something a bit fancier, go for the dual side swept look. Keep the hair messed up and tease in a little volume for effect. Combine the braids into a loose ponytail and wrap a strand of hair around the elastic to create this wind-swept look. Don’t be fooled by its name. Boxer braids aren’t scary at all. You can look sporty or utterly feminine with it. It all depends on the way you carry it. Be bold and dare to punch up your style with a cool boxer braid. Why not do for double rows instead of one? This one will knock-out your opponents in half the time with twice the impact. 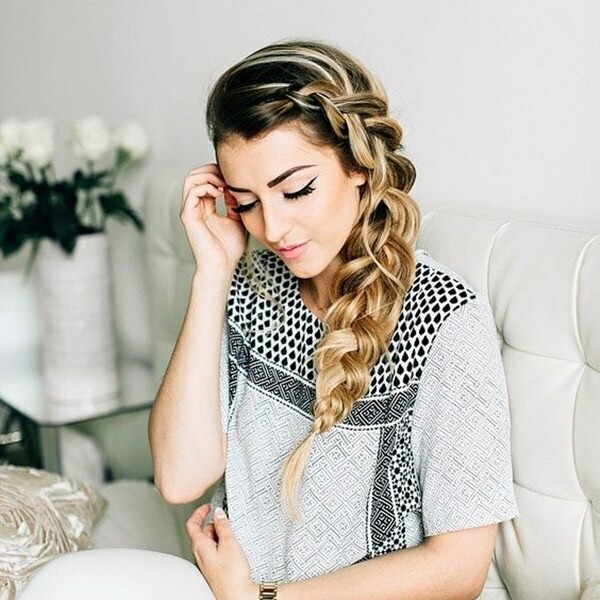 Try the classic double rowed dutch braid. 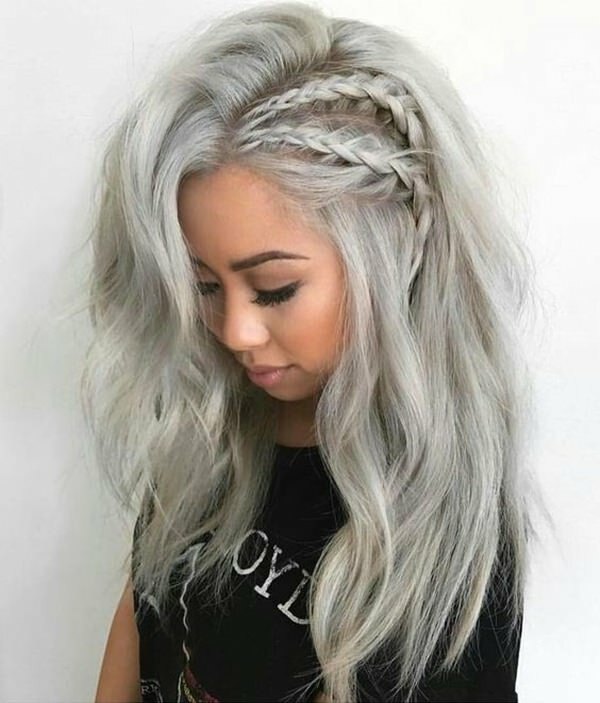 The braids look better on blonde hair as the textures simply pop up better, making them come to life. 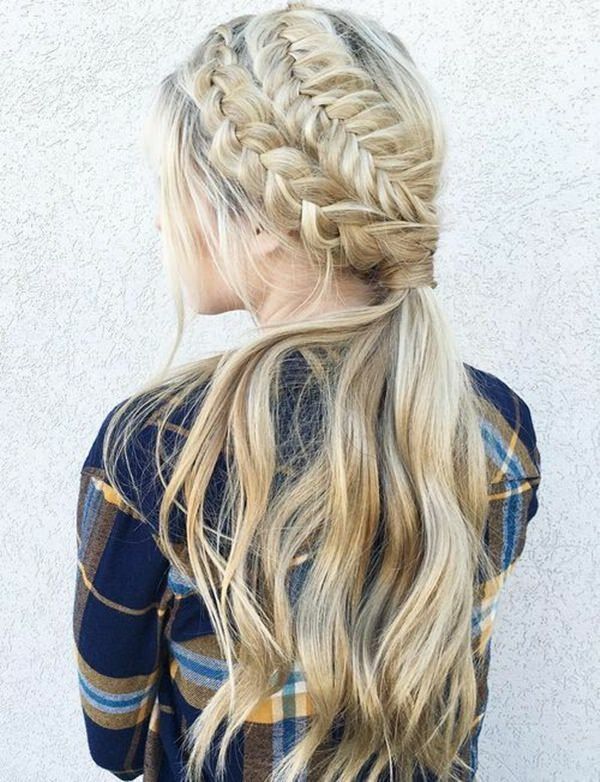 The side braided style looks downright mesmerizing. 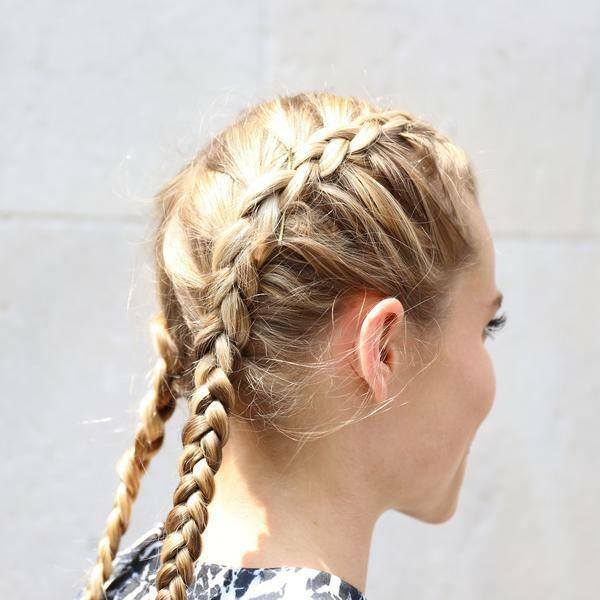 Pull through the hair braids to create the puffed up big braid look. Adorn it will flowers or bead for an added plus point to the overall style. 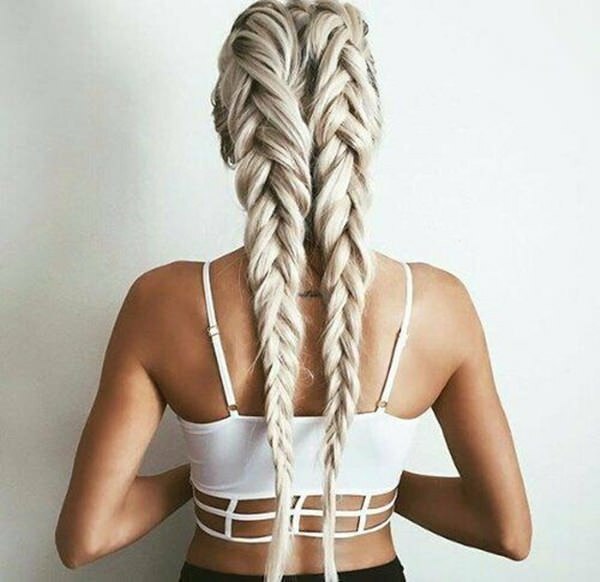 Start with a side braid and work your way down. 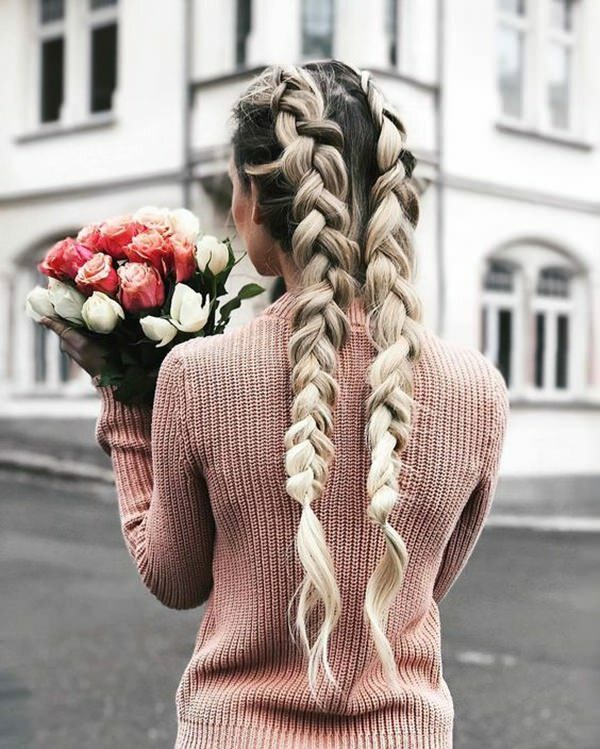 Like we said before, Dutch braids and blonde hair are a heavenly combination and there are no doubts on this one as well. Use clear bands for a clean finish. 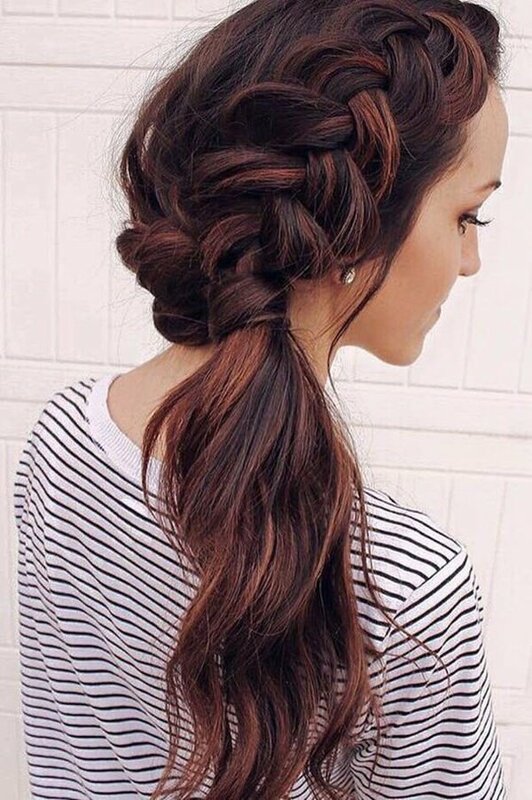 Ponytails make any hairstyle fun and energetic. Liven up your overall style with a messy ponytail. Keep the look simple and rough. Also, don’t forget to wrap your hair around the hair-tie for the classier finish. Dutch pigtails are amazing and don’t be fooled into thinking that they work only with thick hair. Fine hair can be braided into Dutch pigtails are well. Just keep them loose and tease to add in a bit of volume and you are ready to go. Create this huge braided headband look by tugging on the braids. 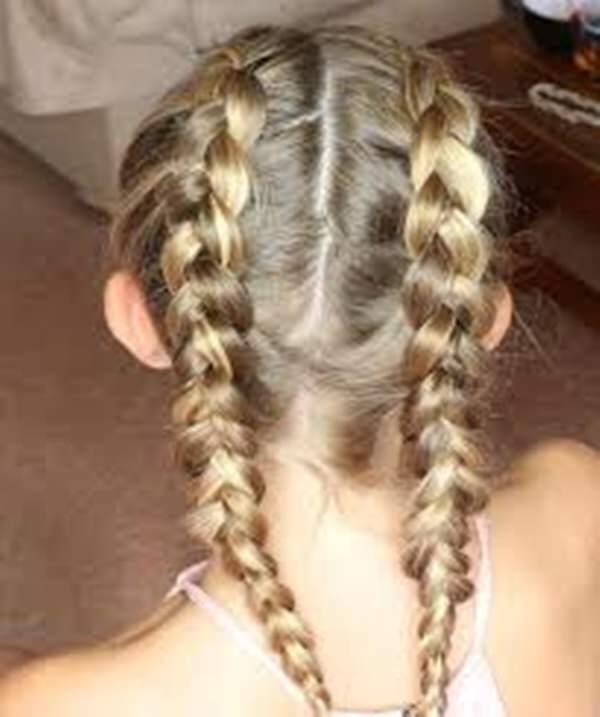 Loosen the stands and fix the braids by tucking them under the hair and secure them with pins. This one gets an “A+” for styling factor. Or, if you are a bit more adventurous, go for a double Dutch side-braid headband.Because two is always better than one!. Ooh! This one’s hot and happening. The highlights create a hugely contrasting effect on the Mohawk and give it a fierce appearance. Ready for combat? Why don’t you try this look? The mass on these braids is phenomenal. 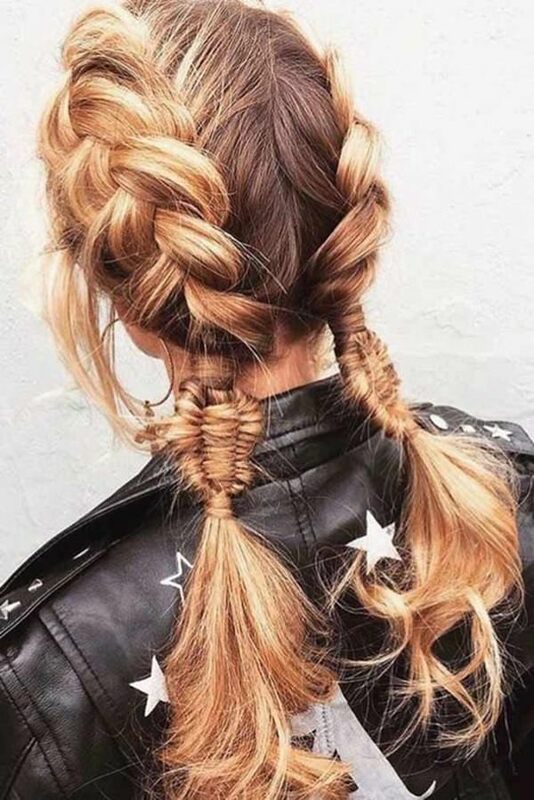 If you are looking for something that will complement the naturally high volume of your locks, then the Mohawk Dutch braid is the thing for you. Flaunt off the amount of hair you have and make everyone craving for hair like you. This is another hair-do for the lucky lasses with voluminous curls. Braid a top Mohawk and finish it off with a neat ponytail. Let the natural curls loose to give a vibrant look. This is an easy-to-go-to look for everyday use. Or if you are looking for something less extravagant and something simple, go for a plain Dutch Mohawk. Like the slogan for Philips, sometimes simplicity makes sense. The same goes for this one as well. Keep things simple with dutch pigtails. 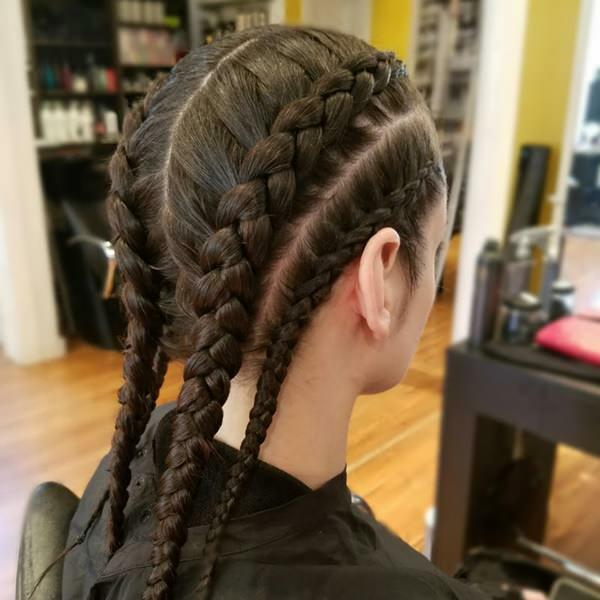 Cornrow braids have an air of energy and give off the sporty vibes, even if you aren’t the most enthusiastic of the lot. Sport on quad-rowed Dutch cornrows and fool them into believing how much of an athlete you are. Hey, getting out of bed is a sport too. 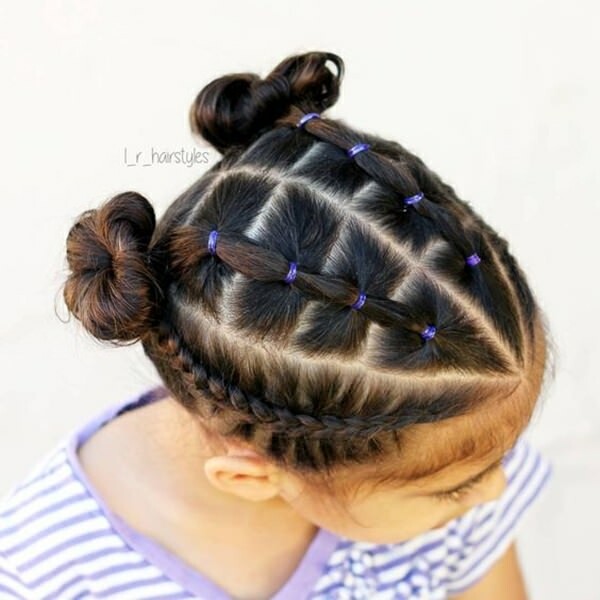 Or if you really are into physical activities, in the most real possible sense, keep the hair off the face with these easy to do boxing braids. 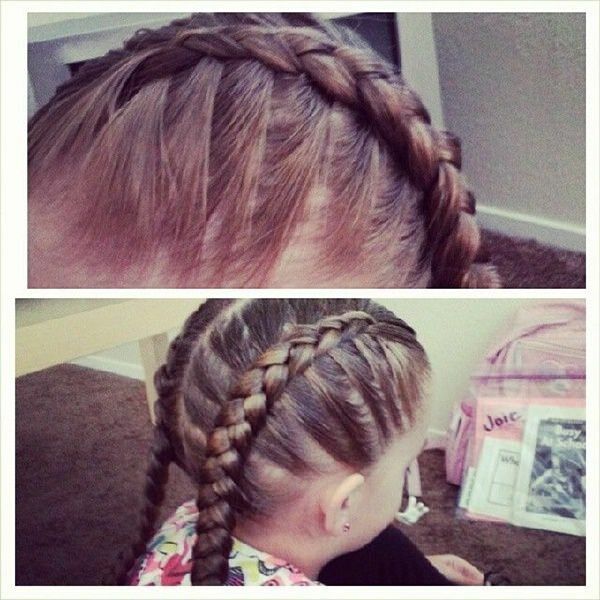 Simple, convenient and easy to manage, these braids need less fussing over so that you can get the most out of your activity. 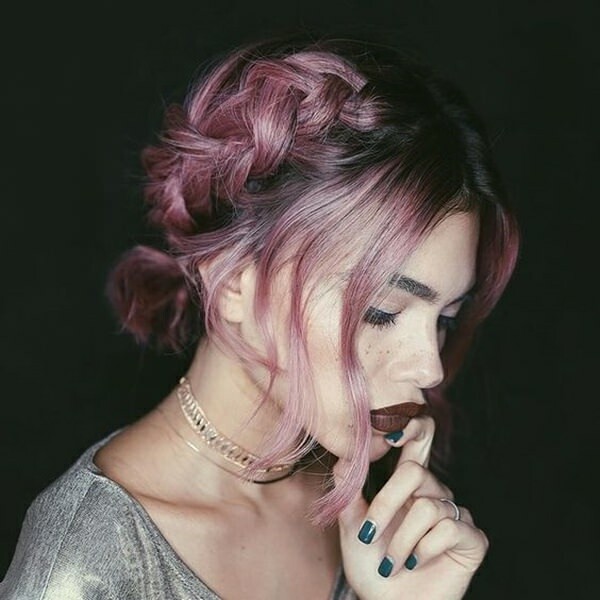 Now, instead of trailing from top to bottom, Dutch braids can also create these amazing Space buns by going the other way round. Look non-conventional and fashionable with these gorgeous space buns because they are just out of this world. Ladies, it’s time for a lift off! You know what else is out of this world? 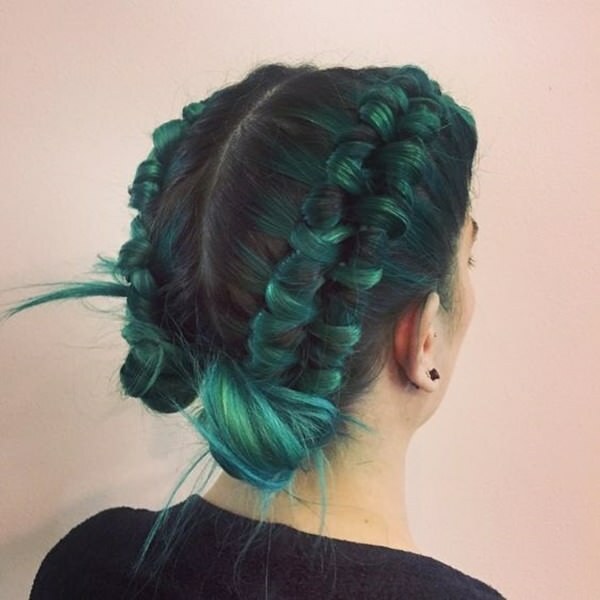 These mesmerizing green dutch braids, braided in fishtail style. Check out the dual-tone effect here and don’t forget to accessorize, because why not? No, No. Greens aren’t just for your plates. Just look at this! If you are not a big fan of lighter shades, try the darker tones to give yourself a more intense look. However, if you are more into pastels and gentle shades, go for lovely pinks or a washed out shade of burgundy. A messy side-braid with this one will look strikingly impressive. 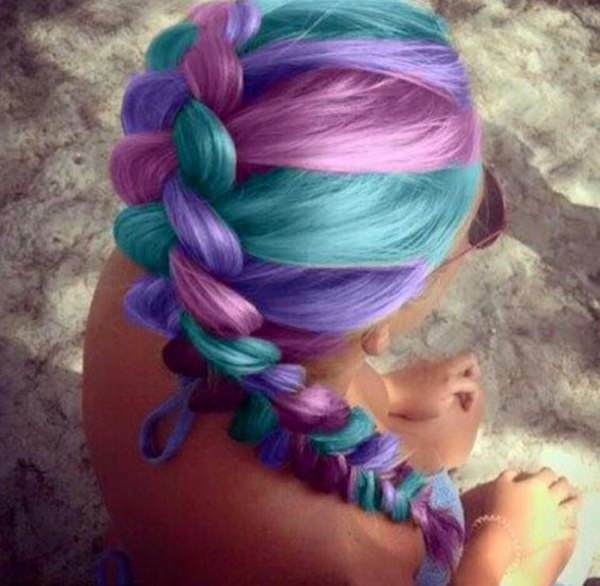 And following suit, here’s another pastel delight to try. 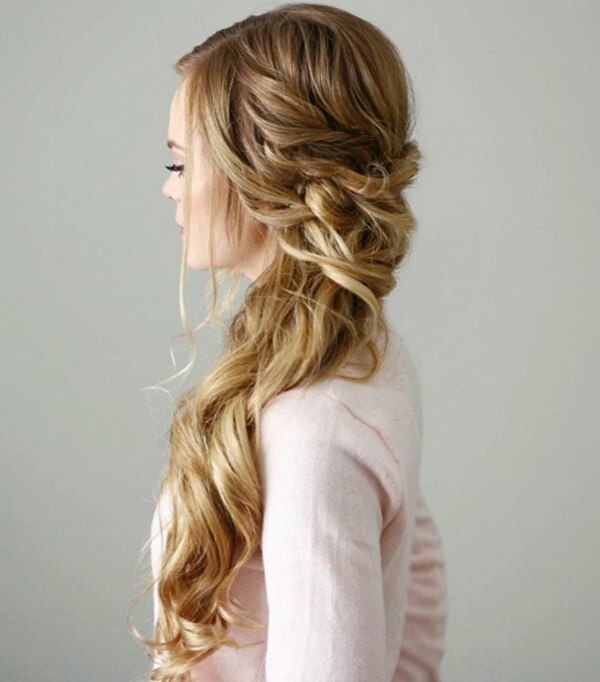 The loose curls with the headband braid look amazing!. Go dual tone with your shades. Add in root highlights of deeper purple to create an ombre effect. 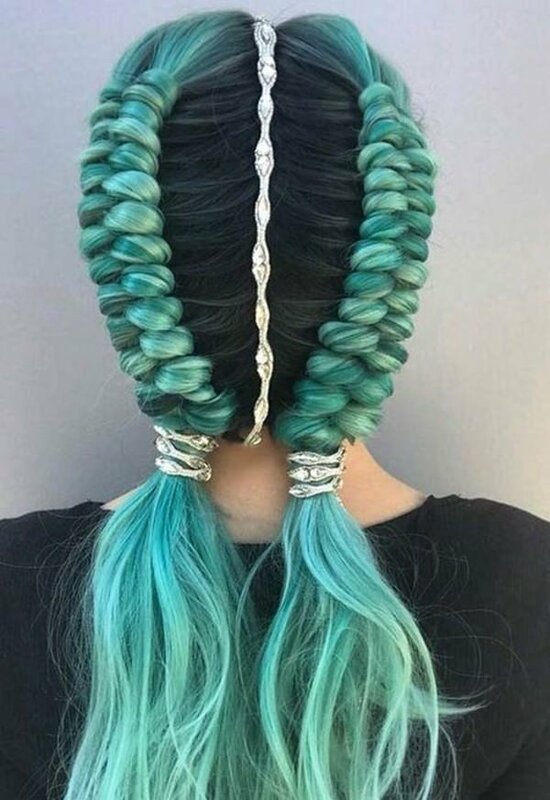 If you are one of the daredevils and are dead serious about leaving an impression in the minds of those around, go bold with these solid tri-coloured Mohawks and give yourself the bold mermaid look.No Ursula’s ever going to mess with you. On the other hand, maybe a little less bold colour won’t hurt. We wouldn’t want to scare Prince Eric away now, would we? 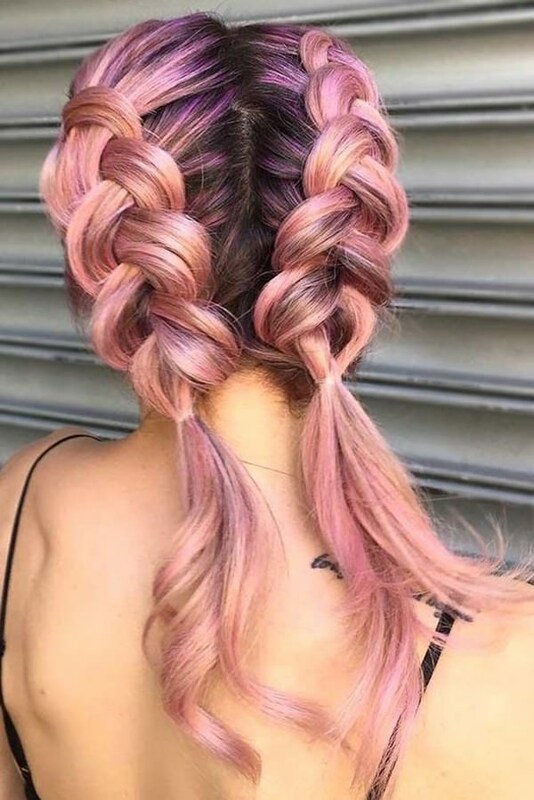 Go for this absolutely huge chunked up look with this subtle mix of blues, mints, pinks, natural browns and purples and you are ready to rock, be it above the sea or under the sea. Okay. This thing demands some skills and dedication. 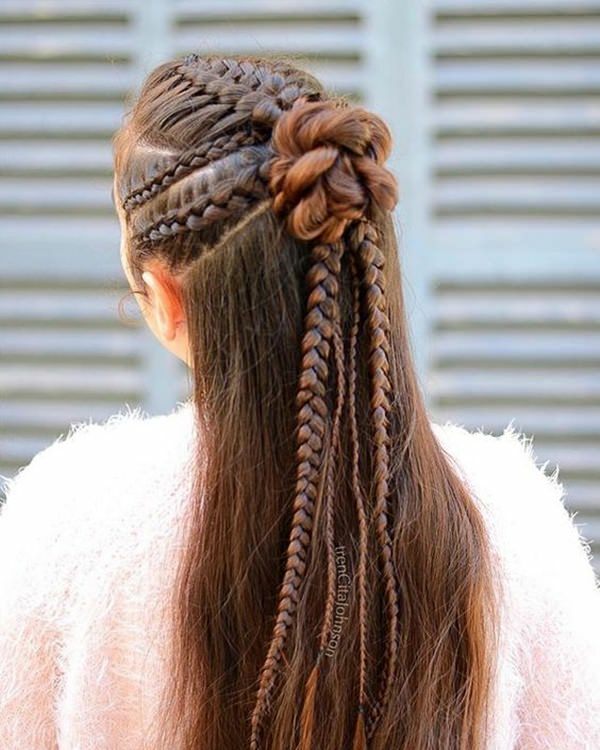 If you are one of those adventurous sorts and are willing to work up your finger skills in braiding, go for one of these intricately weaved up Dutch braids. 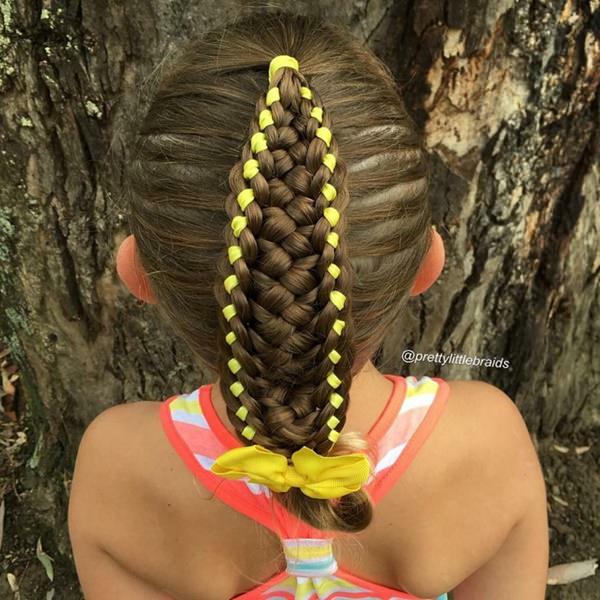 This one combines a Dutch braid with two French braids from the top, woven up with bright yellow ribbons for an added finish. 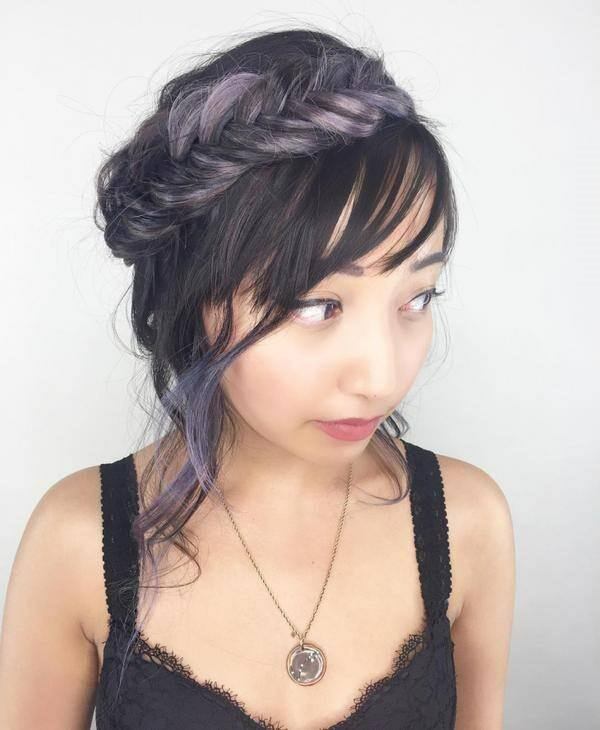 Create an edgy arrow style Bohemian hairstyle. 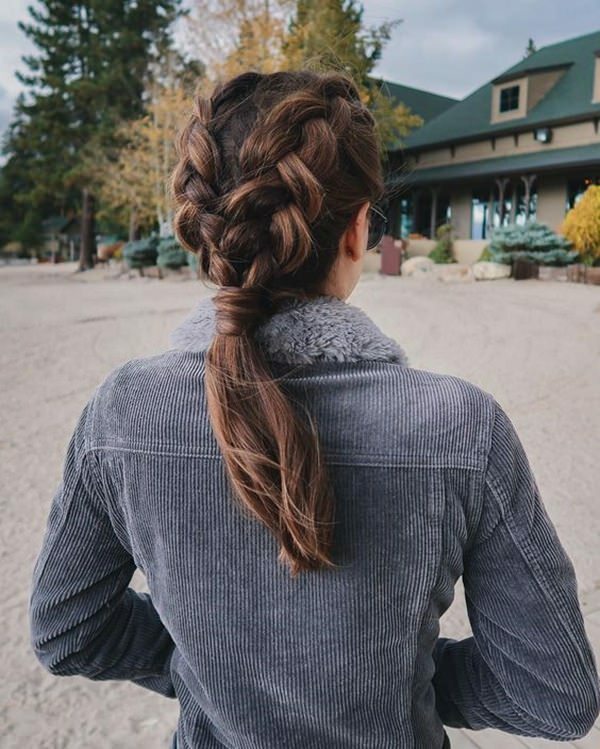 Incorporate Dutch pigtails into a central french braid with strands from each side to create this fun and innovative look. 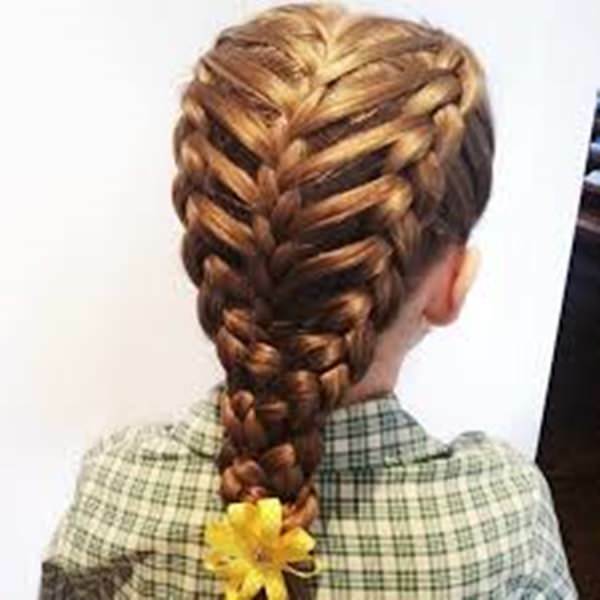 Short hairs are equally capable of sporting a dutch braid. Don’t let the lengths discourage you. Just go for the style that you want. 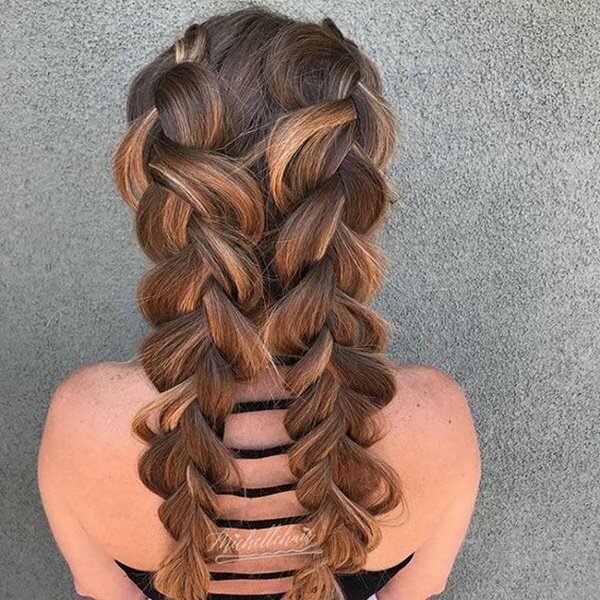 A dutch style headband side braid merged into a fishtail braid works wonders in uplifting the look and creating the perfect synergy. Sport this style for your casual weekend getaways or while you relax on your vacations. 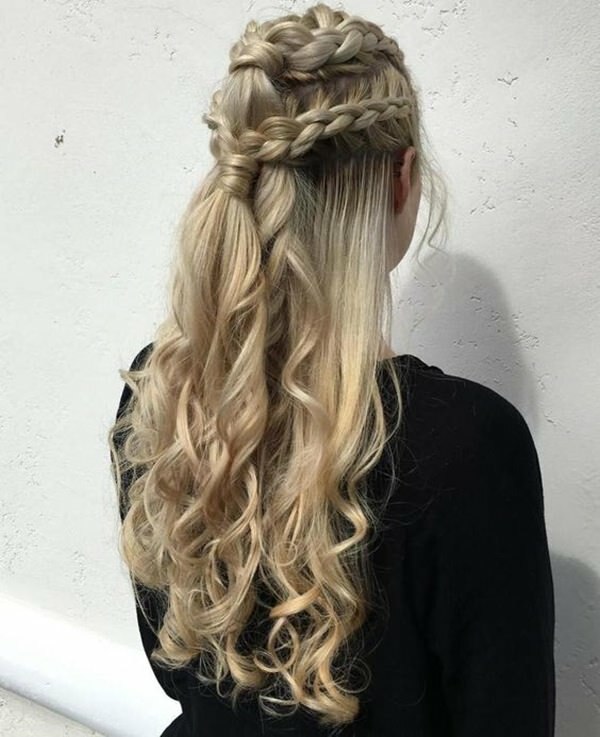 Crown braids are perfect for any season and for any hair lengths too. Prop your headband braid at the back and secure them with hair-ties to create this wise look. 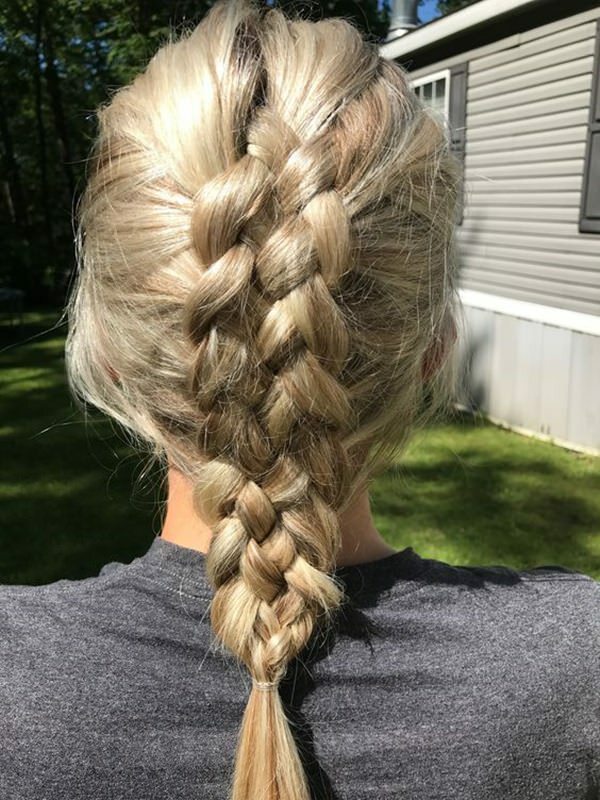 The miracle of Dutch braids can only be amplified on blonde to lighter hair. Match this with thick hair that’s got tons of volume, and you end up with the most lusciously dense braids that anyone has ever seen. 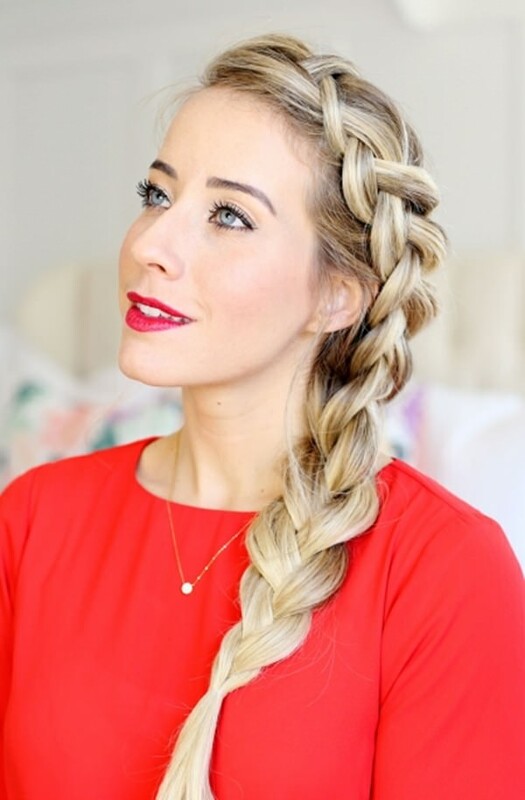 Pull through each braid if you want to achieve an even fuller look. Do you want to build a snowman? 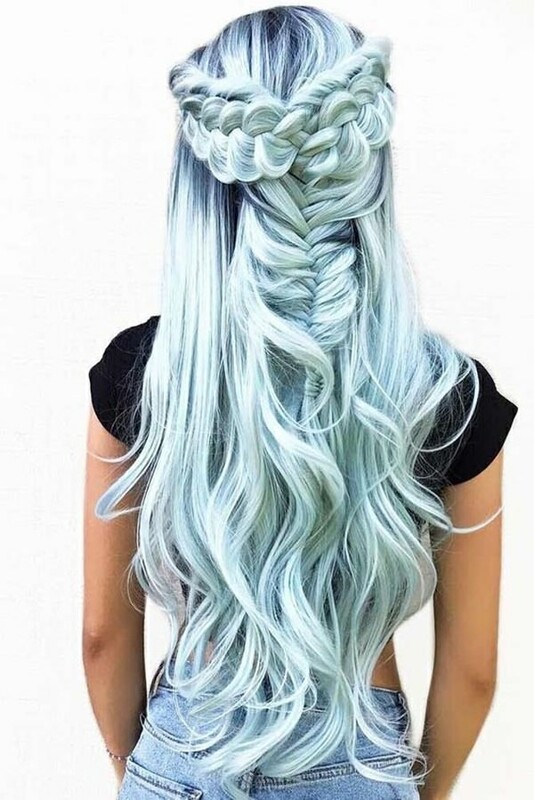 No, but I would definitely love to get this icy cool hair that looks like it’s just come out from Frozen. Go get the look that will pout everything to a frozen stand-still with this look. 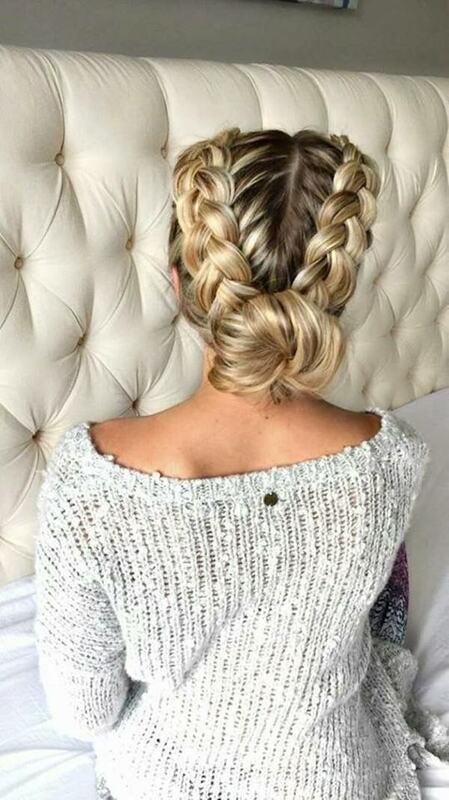 Just a simple Dutch-braid will look special too. To bring out the textured look simply pull through the braids to add more volume. 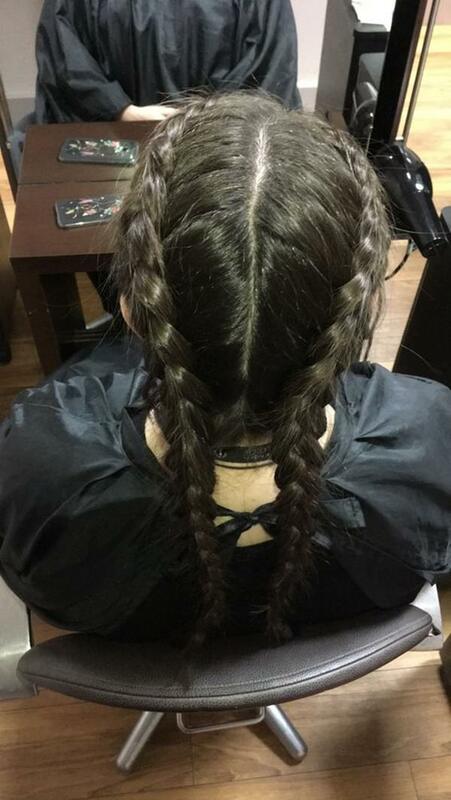 Dutch braiding for the first time? 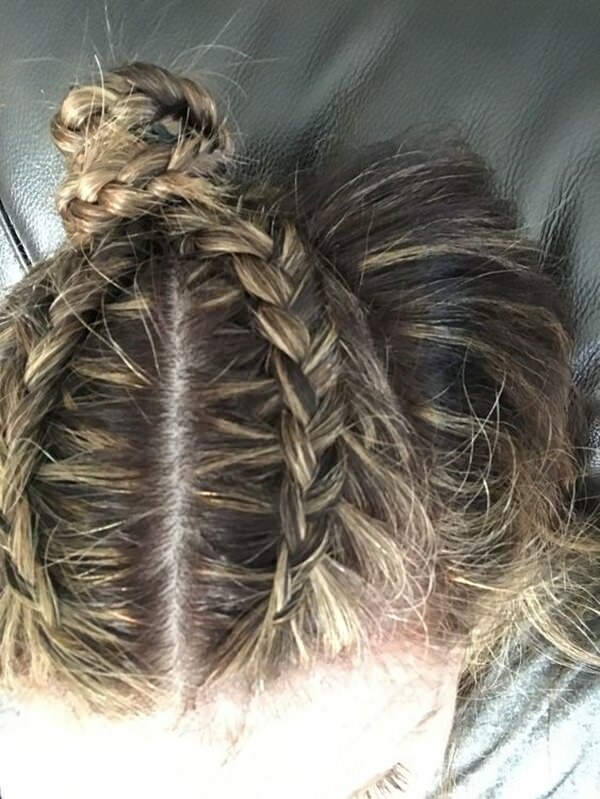 Start with a simple forehead braid. 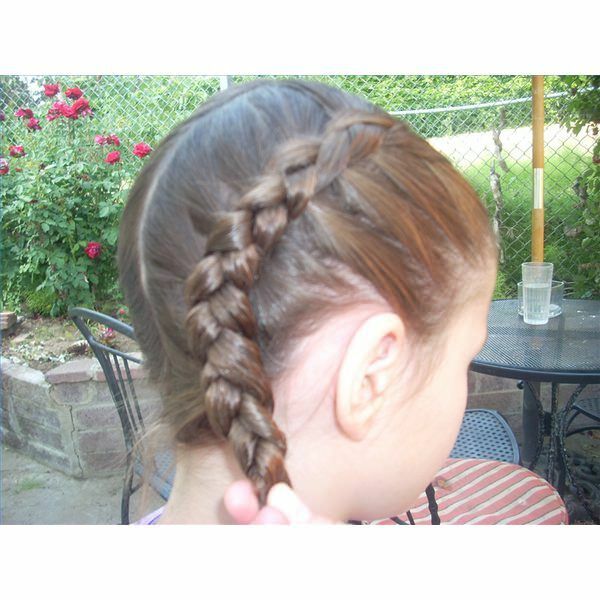 Follow any videos on Dutch-braid for beginners tutorial and practise and practise and practise. Remember, practise makes perfect. Look chic and fierce, both at the same time with boxer pigtails. 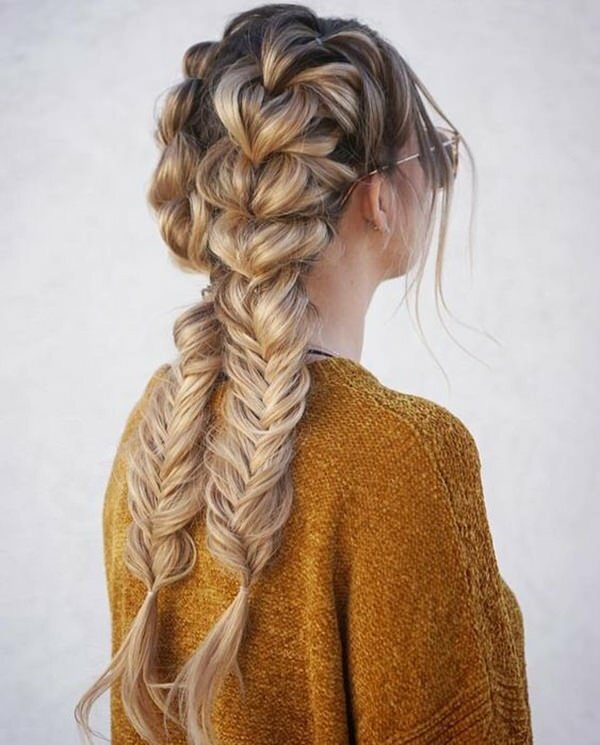 The dark tones on the roots fall in beautifully with the textured braids as the colour gets lighter down the ends. 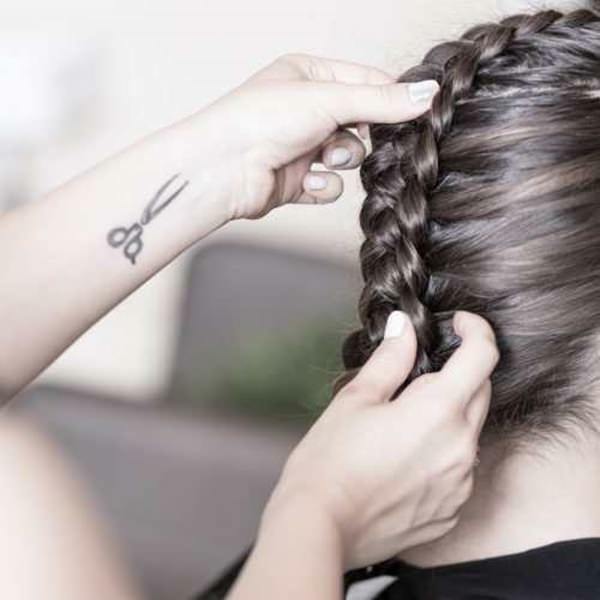 Be it pigtails or Mohawks or side-braids, everything looks better when done Dutch style. This here is a classic example of Dutch side-braiding done to perfection. This one here as well. The headband styled side braid makes the look go up one notch than usual. 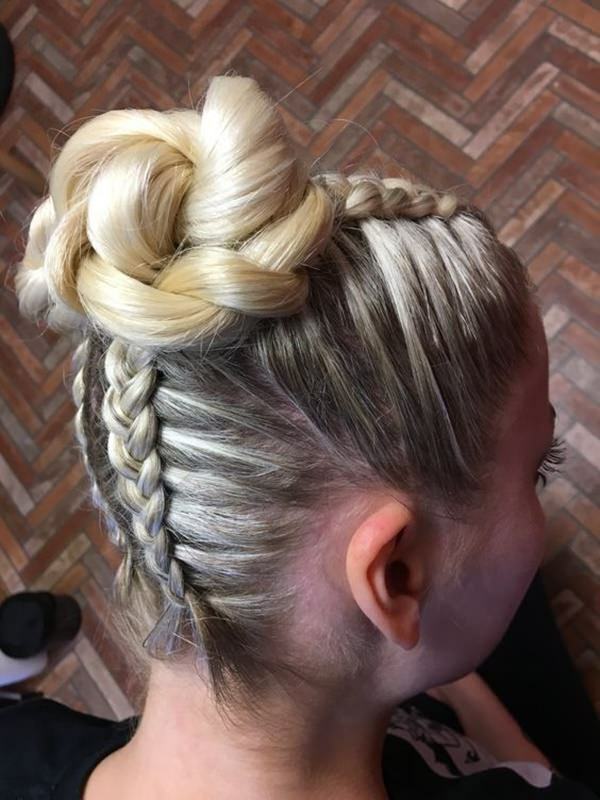 Just a beautiful example of simple Dutch braiding made to perfection. There isn’t much to say about it. 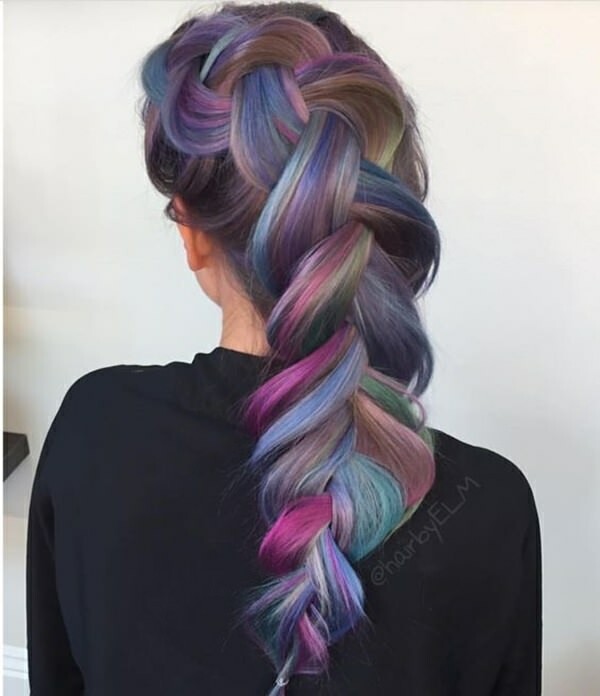 The way the colours of the hair work to create the dynamic effect is what makes this hairstyle simply gorgeous. The blending of dark with the lighter brown and blonde help create this visual appeal. Now let’s have a look at the same but with a two-toned mix of black and blonde. 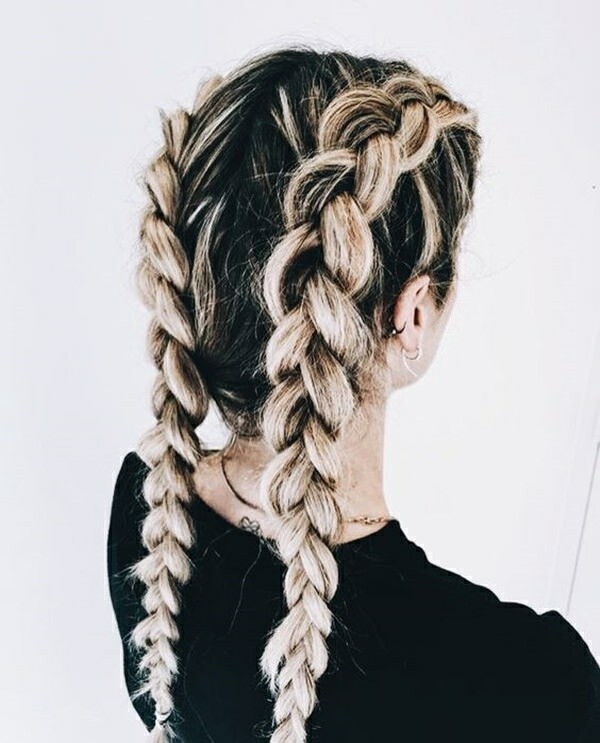 Regardless of how many shades your hair incorporates, Dutch braids make them all stand out. 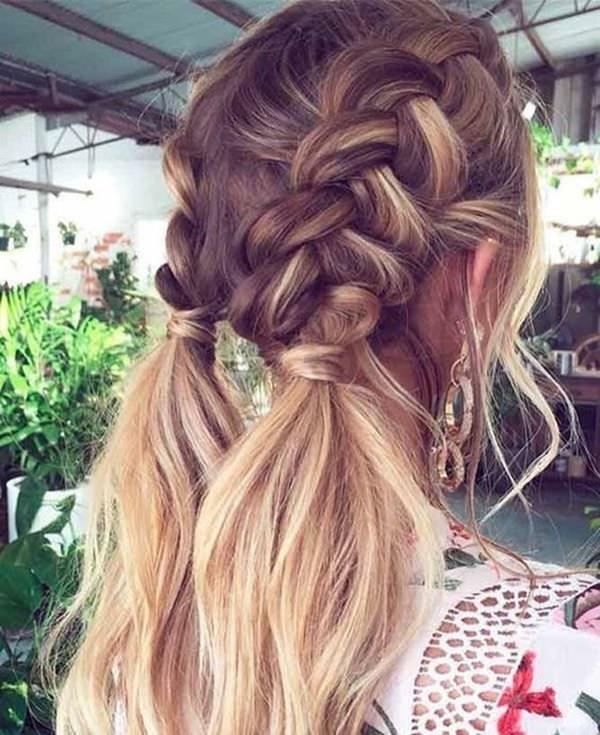 Create this unique flower-like braids and combine it with a ponytail. 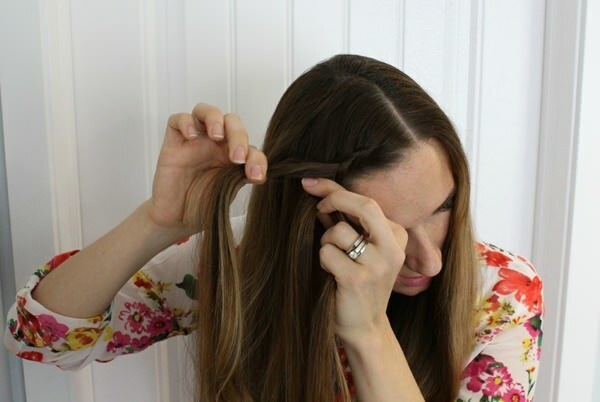 Tie a piece of loose hair around the hair tie. 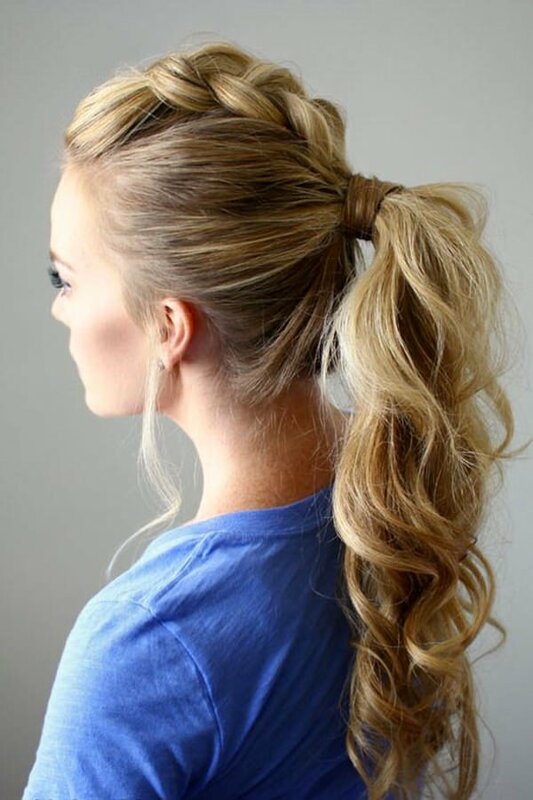 Tease the ponytail to create this messy yet adorable look. And the same can be done with two rows of braids instead of one. However, the result is still as spectacular as ever. If you want to create an air of romance around you wherever you go? 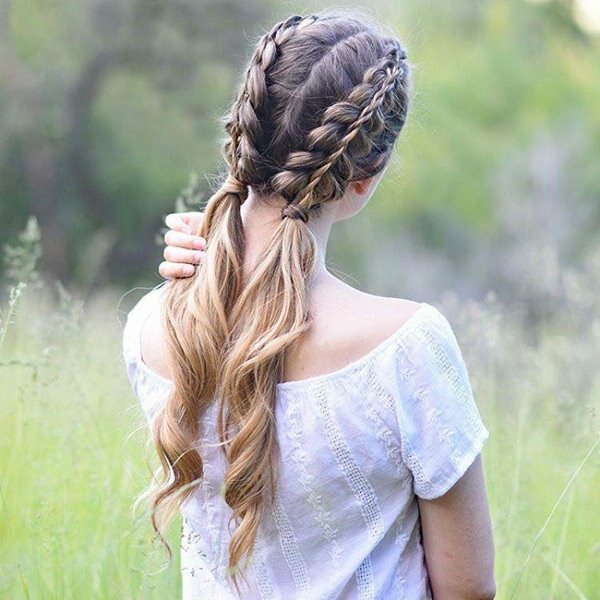 Try a loosely made half dutch romantic braid and watch it work its magic. Do you know what’s romantic? The love story between a prince and a princess. And what do most of the princesses have in common? A crown! Try a crown braid and feel royal and a hell of romantic. Well, at least with your looks. Go absolutely royal in the most Scottish way possible but with your Dutch braids. Round off the pigtails on a low bun, and you are ready to hit the palace. Well, not all braids need to look neat and tidied up. Go for this half-done look with double mohawk braids rounded into a top bun. Let the messy style speak your mind. Don these flashy pigtails to keep everyone on their toes and show them that you mean business. These rough knotted pigtails make every possible statement that there is to make. Look edgy, look cool and stand out from the crowd with these delicately interwoven Mohawk braids. If there is anything that’s sure to catch someone’s attention, then it has got to be this. 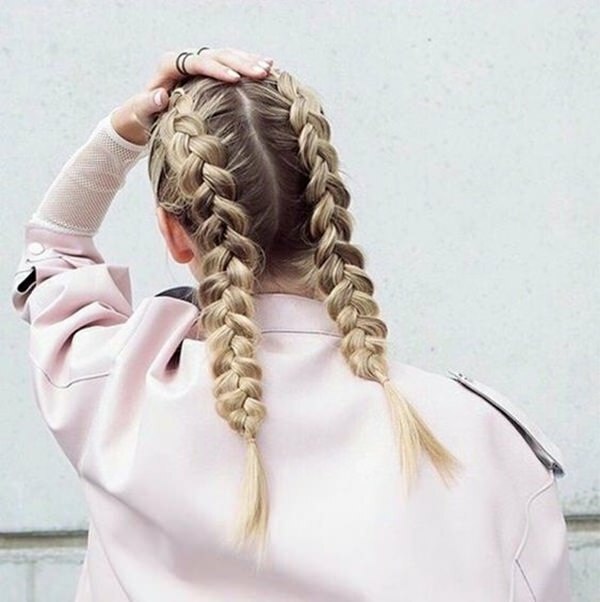 Bring the wow-factor every day with the double Dutch pigtails. Artistic or straightforward, they will upgrade your look and make you picture-perfect every single time. This one as well. 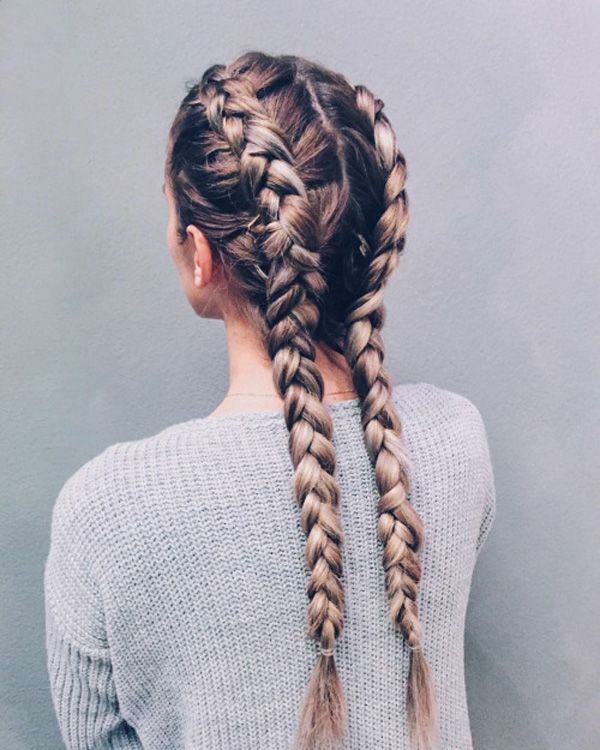 Decent braids to get you through the day. And the colour of your hair does not matter. Light brown to blonde dual tones? Great! Hmm..What about blondes? Blondes look great too. Thank you for asking. If the pigtail gets in your way, just roll them into a bun and tuck them away. Secure them with pins to keep them in place and go on with the activities of your day. There’s no stopping girl! 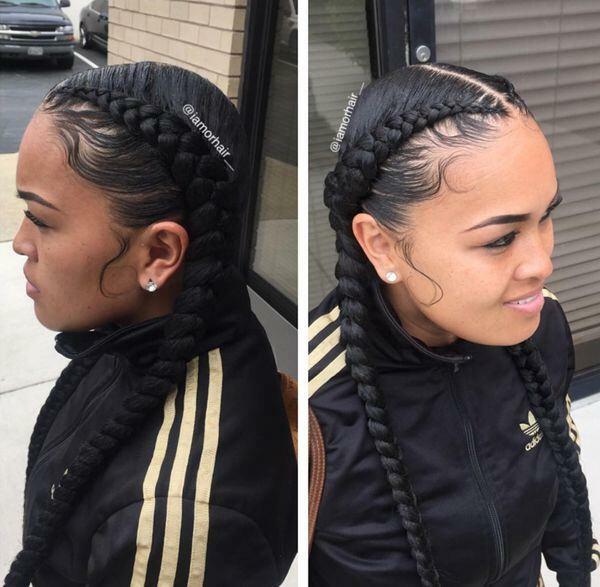 Look hip-hop with the 90s look and adorn your hair with the cornrow Dutch braids. Incorporate patterns and designs of your choice and get ready to hit the floor. Looks like Xena the warrior princess is ready for combat. 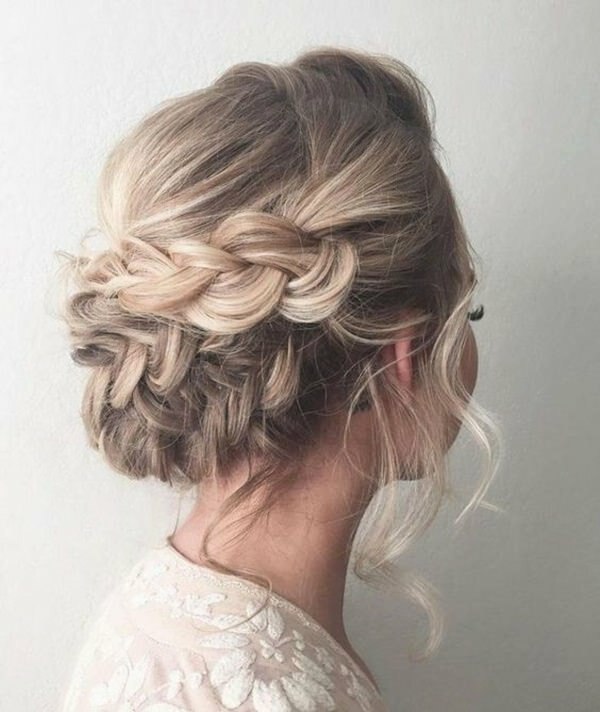 The knotted bun half style with multiple braids add a little bit of savageness to the otherwise gentle look. The half down hair retains the girliness of the overall style. Who says women can’t kick asses? 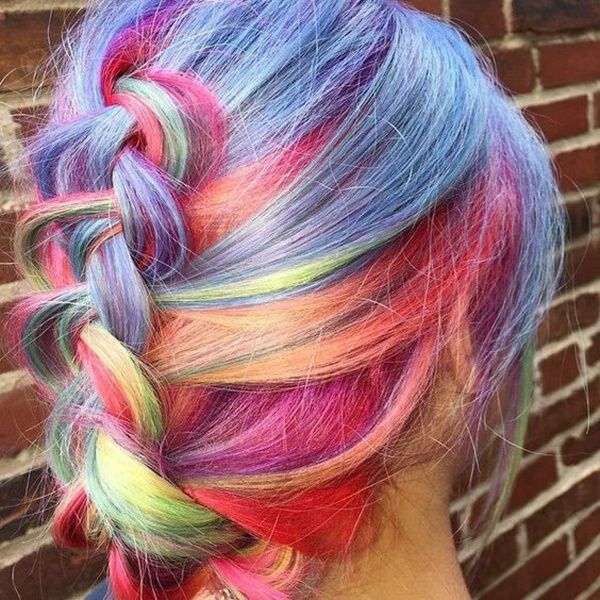 Transform your hair and get this polished look by fusing patchwork stylings with side braids. 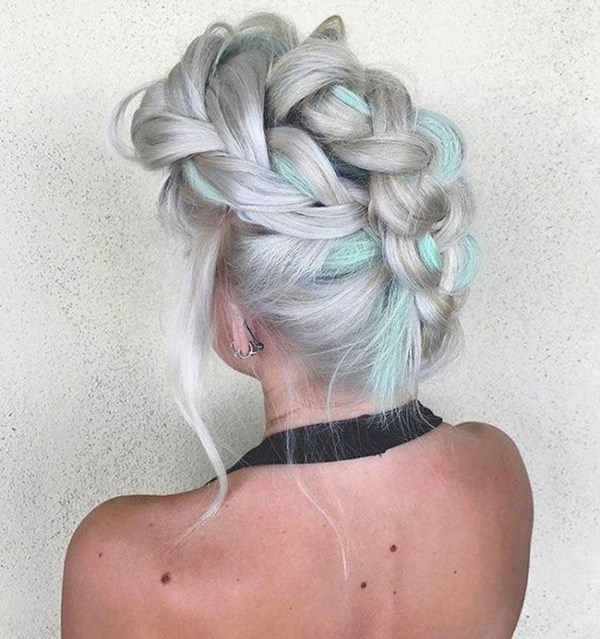 Join them at the top with buns to finish this masterpiece of a hairstyle. If you are new to the braiding business, fear not. 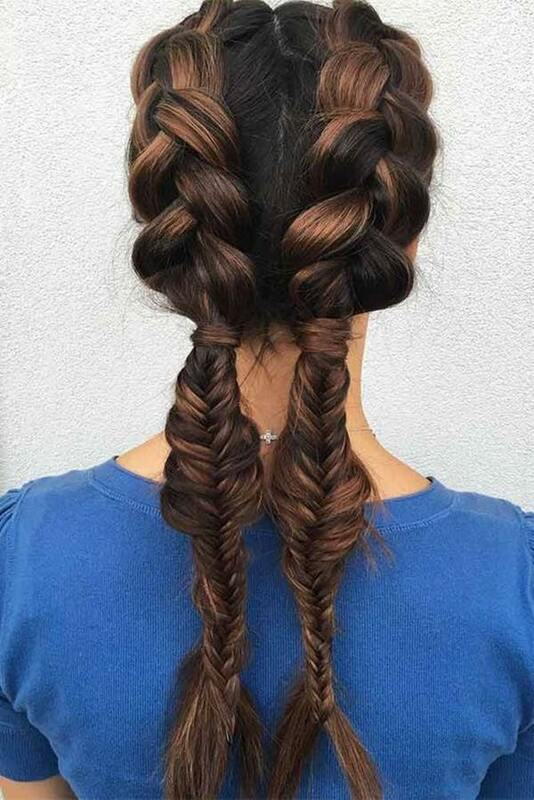 Simply follow the given pictorial instructions on how to create your very own side combo Dutch braids, and finish it off in fishtail braids. It looks simple and it is simple. Give it a try today. Headband braids look stunning on short hair. Go for bulky styles by pulling and loosening out the braids as you go along. 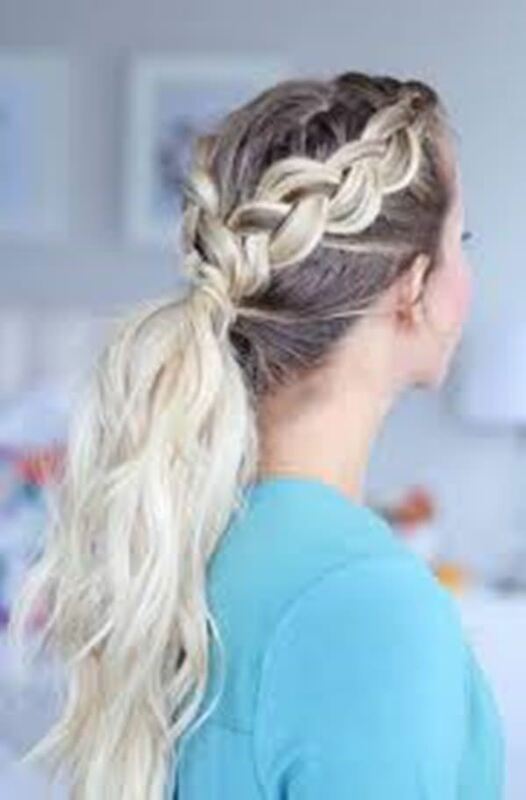 Add in an extra layer below the braid for added effect. Pull in some tight braids to add in some height and depth. But try to keep it gentle as tight braids hurt the scalp and lead to hair damage in the long run. Same with these. Although tight braids can have a fantastic visual appeal, they can be damaging in the long run. 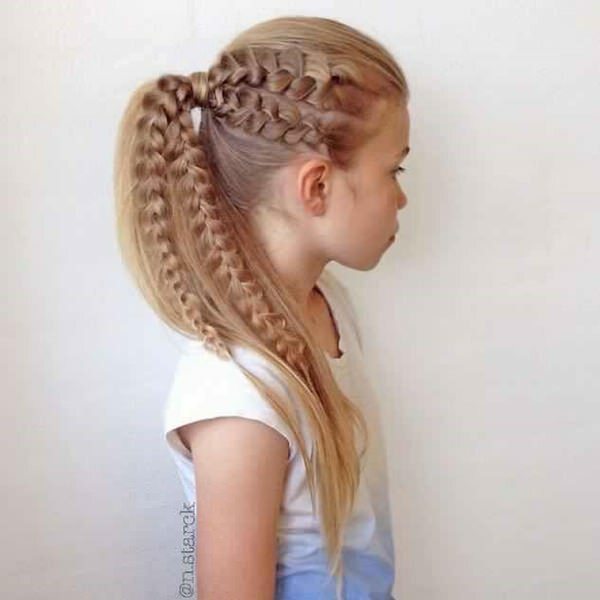 Keep the braid loose enough so that there is no tugging on the scalp. Get ready to head to the gym with these sporty pigtails. They do a great job of keeping the hair off while you burn some calories. If the ends get in your way, simply roll them into a bun, and that will be sorted for good. This should be your go-to look for the summer. 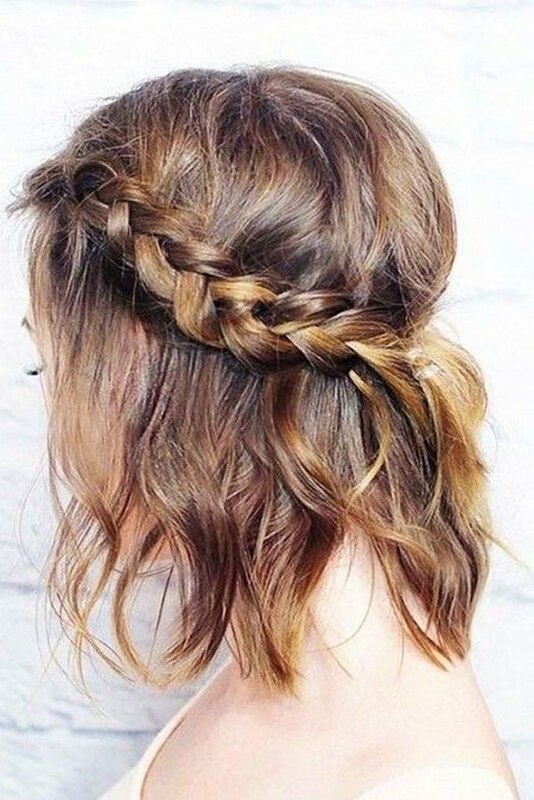 Keep the braids loose and down with this simple braiding and look ready to hit the lounge or out for a date. The choice if yours. 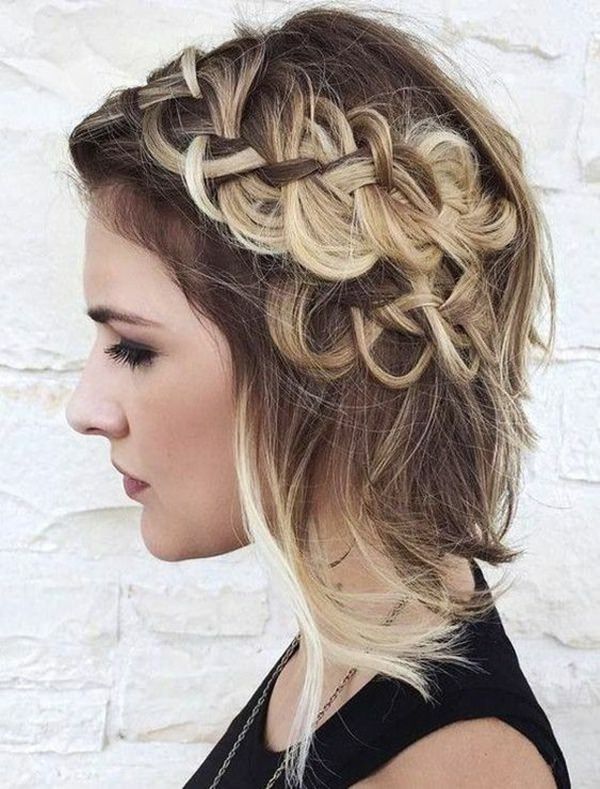 Create this just dropped-down-from-heaven look with a halo braid. 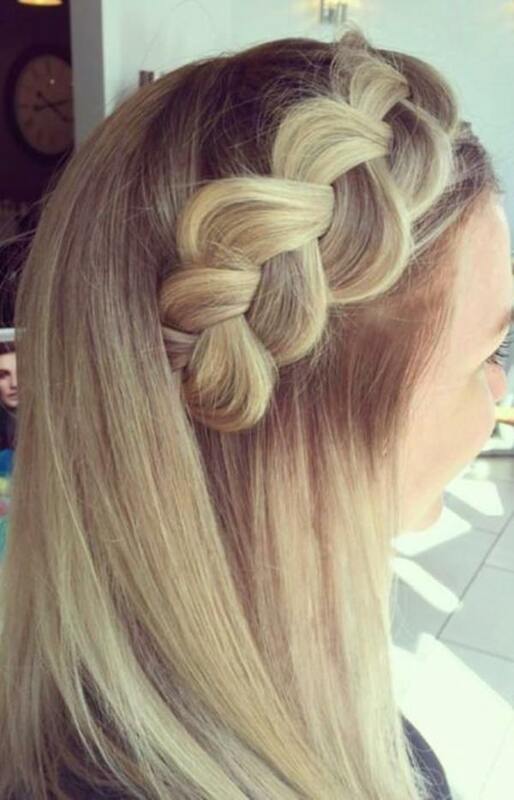 The braids start from each side and disappear around the back creating a gentle halo-like design. Probably the most happening this right now after Kim Kardashian would be the boxer braids. Easy to do and needs almost zero-styling or heat, this is best for daily casual styling and sports. The colour combination on this one is quite basic but gives off a vibrant hue of red highlights. The simple mohawk braiding with this one makes it perfect for a day out, be it in summer or winter. Stylize and look fabulous with a braided headband and get ready to set the stage on fire. Pair it with a messy look to keep things casual or go for the correctly set hair. 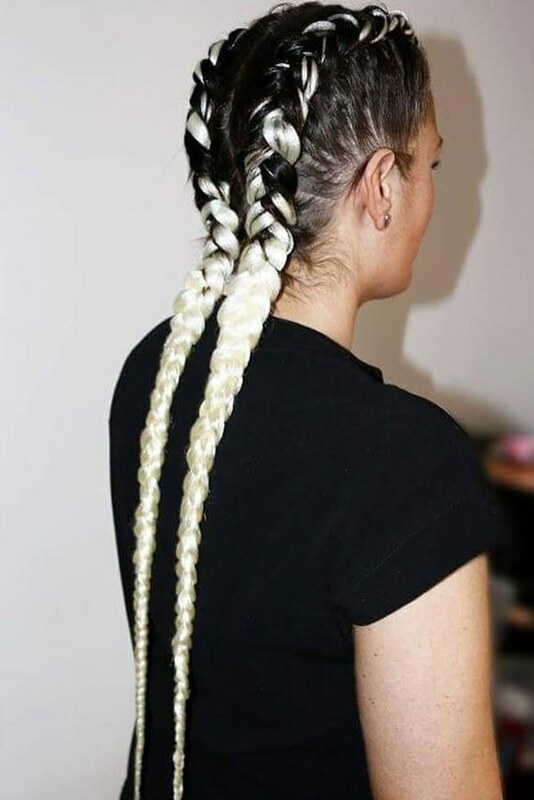 For braids, the bigger, the better. The whole point is flaunting off the considerable volumes in your locks and having the world longing for your hair. And the colour of your hair matters the least on this part when you can show off your heavy braids and win over any situation. 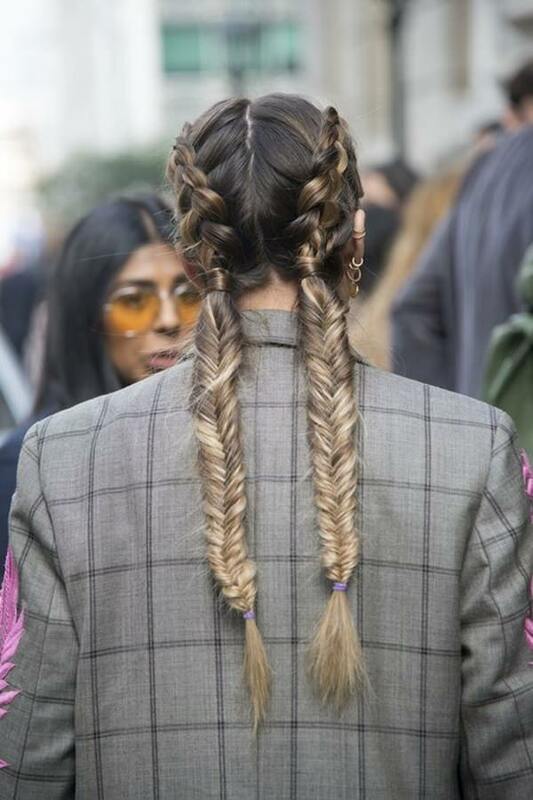 Hoist up chunky boxer braids and merge them to a ponytail and be ready for some actions. Hit the ranch, work on the fields, ride a horse, get some business done. You are prepared for them all. Or you could let them slide down two pigtails and hit the gym instead. Either way, it will work. Or just a laid-back day out with friends. 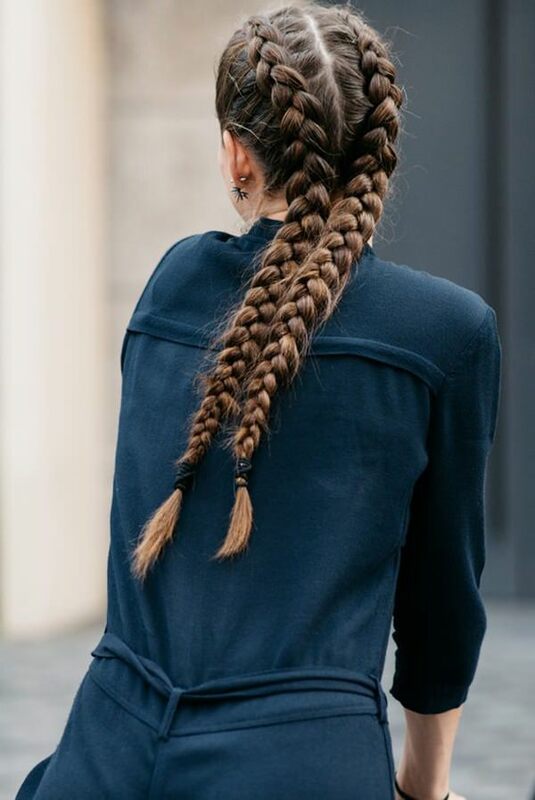 Don’t you worry, Dutch braids got your back. So far, we’ve only talked about women rocking the Dutch braids, but guess what? These braids look perfect on men as well. Be it long hair or short, men can look stunning with them as well. Just check out the Dutch-fishtail boxer braid combo here, and you can be the judge of that. 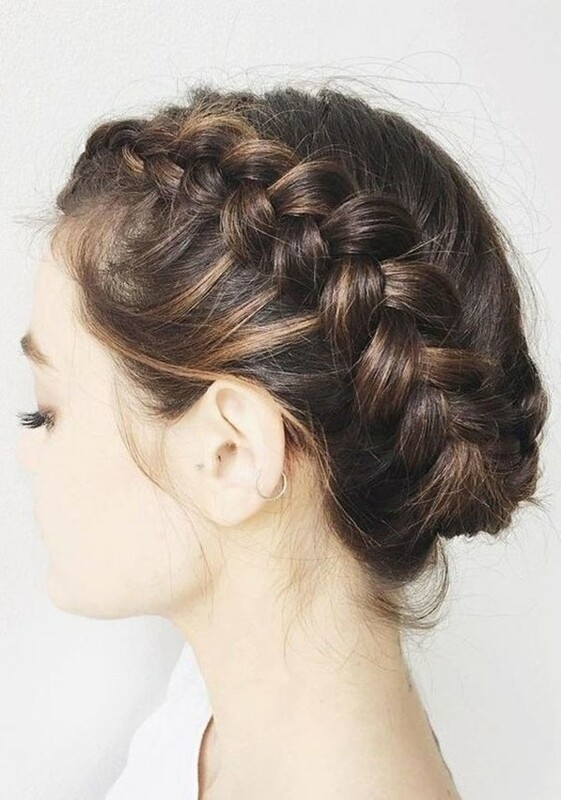 Keep your braids romantic and whimsical with loose strands on your face. This creates a natural effect and gives it the right amount of framing for the face. Accentuate the lovely highlights and your spectacular colour with Mohawk braids. 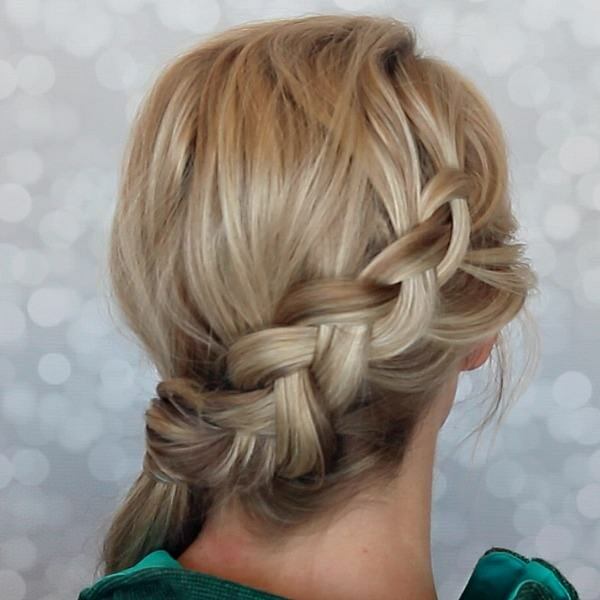 Go for a double braid and cross over the back with the ends neatly pinned in. And again with some silver locks. Create this unearthly looks with loose twisted braid and leave the end unbraided. Finish off a single strand twist braid with clear elastic to keep the look natural. A single headband braid can add an equal amount of definition to your hair as can a full head braid. Leave the rest of the hair loose and adorn with loose curls for this fancy wedding day look. 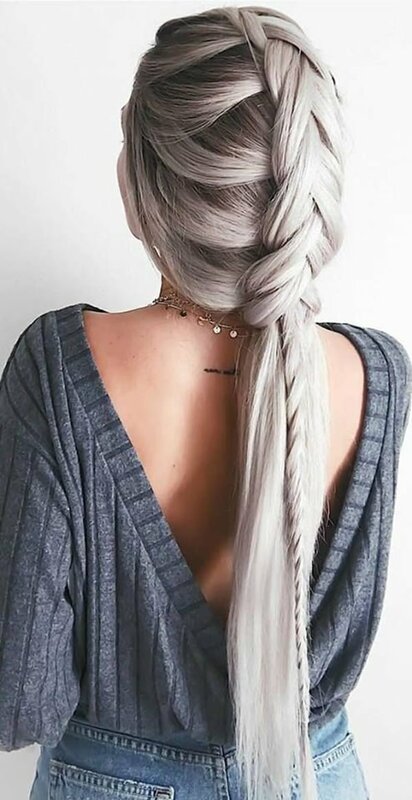 Wide-braided pigtails are a definite must to try if you want a look that is versatile and easy to mold into any situation. Wear them with your gym clothes and turn it sporty. Don it in a gown, and you have your formal hair all ready to go. The same goes for these lovely fishtail braided pigtails. The point here is to keep the braids loose for the natural messed up appearance. Let the spirit free and keep the hair tied in the multiple Bohemian braids to express this freedom of mind. Manage light waves and curls on the ends to give it an unconfined look. Finish off your delightful pigtails in a messy low bun to create an updo that is fit for any event. 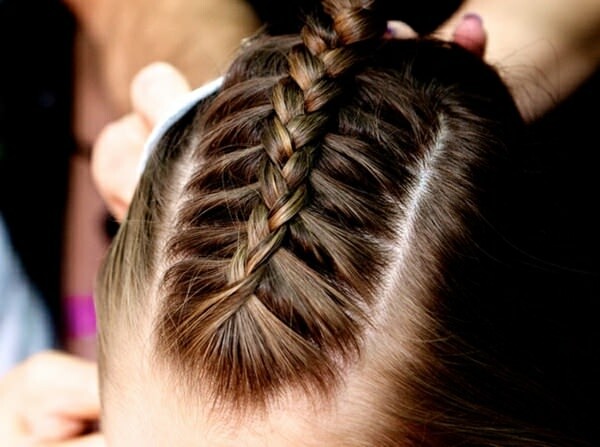 Maintain the comfort of styling and keep the braids loose. Trust us, the looser the braids, the more oomph it adds. And as for the cherry on top, wrap around the ties to keep them out of sight. And let the curls do all the talking for you. 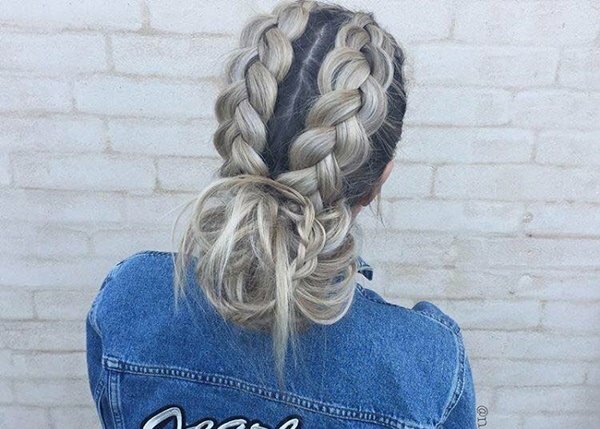 Sport up these edgy braids and get ready to hit the gym. It’s time to break some sweat. Or go dually toned with this mix of black and blonde. Or might I suggest these golden browns? Nonetheless, you are all ready to work it out. The new year is here, and so are the events. Why not look stunning with a fantastic updo and mix it up with a few braids in every order. Don’t forget to match with a stunning gown and you will be the head turner everywhere you go. 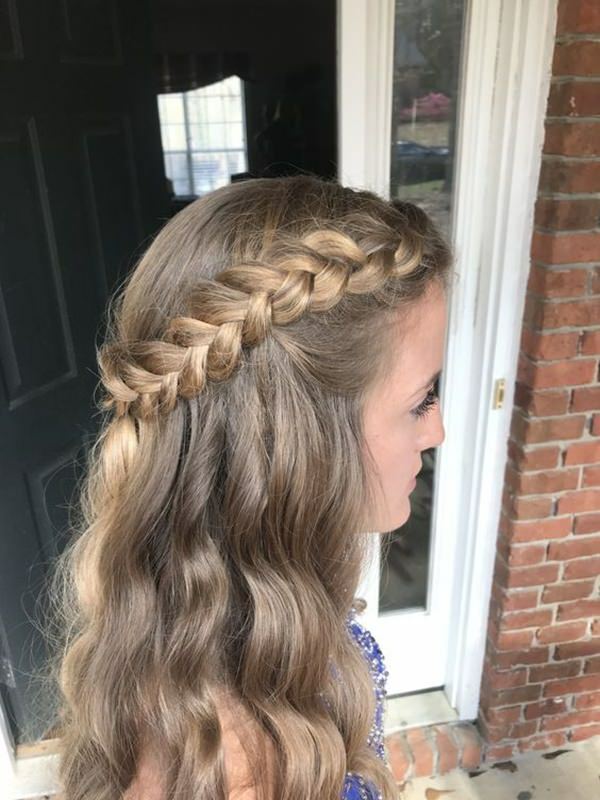 Look flawless for the dinner or a night out with the side swept braids and have the people fishing for compliments for you will look amazing with this. Another one for the formal events. The half upbraids with a beehive will add heights to your personal style choices. 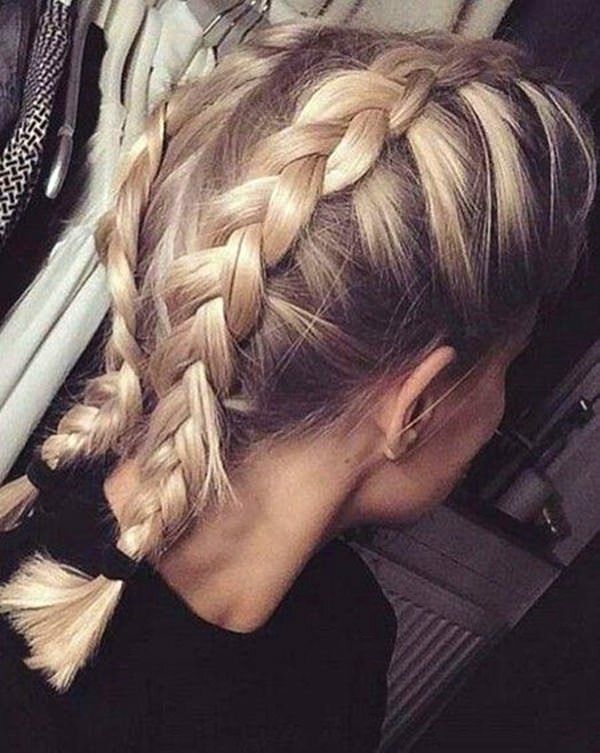 Who said you could sport only one braid at a time? Well, prove them wrong and fo for multiple styled braids and create your own signature look. Same for a double dutch mohawk. Why braid one when you can prove to the world that you are completely capable of making two? Unleash your wild side and impress everyone with your untamed mane paired with a double Afro side braid. And now finally the masterpiece. Try this astonishing work of art and make them go wow. You will be sure to turn heads everywhere and anywhere.